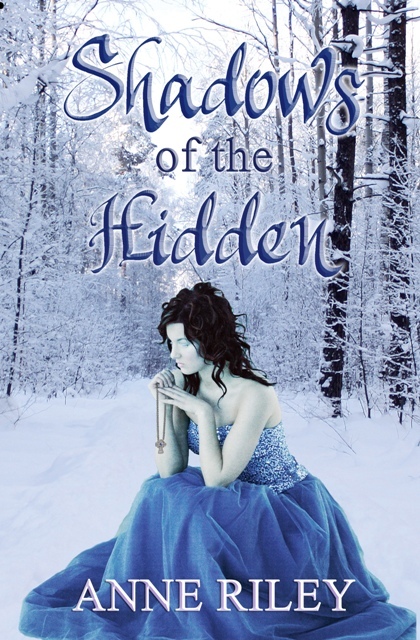 SHADOWS of the HIDDEN by Anne Riley is here! It's out! Well, for pre-order! If you use this pre-order link, shipping is free. If you ever heard me gush about THE CLEARING by Anne Riley, then you know I am a big fan. SHADOWS OF THE HIDDEN is its reincarnation, put out by Compass Press. The new cover goes above and beyond my original hopes for it! Covers aside, the content of this book is deep, moving, and wonderful. I've been recommending it to my friends for over a year, and now I have a reason to talk about it some more! Even though this is a magical book - okay, so it's got magic in it, not made of - it also touches on some very real-world problems, like the cost of bullying, the reality of bereavement. Adults and young adults alike will enjoy the magic and relate to the pain. As a writer, I know it's tough to strike that balance between magic and realism, but Anne Riley does it seamlessly. I hope you enjoy Shadows of the Hidden as much as I have. And if you do, skip on over to Anne Riley's page and tell her how it made you feel. OA regulars, don't forget to polish your one-line pitches for December's Mystery Agent Contest TOMORROW!! See you then! All right - I have many thoughts on this but am curious what everyone else is thinking. I read this article by David Gaughran yesterday that I found interesting. Okay, I will go into a little of my own background. When I was a brand new writer just starting out, I wrote a picture book (one that I still think would be awesome but definitely needs work). Anyhow, while sitting at my computer one night, I got an email from Author House (owned by Author Solutions). They'd heard of me and wanted to publish me. I was so excited. And I mean THRILLED. Called everyone in my family. This publisher had contacted ME. Wanted to publish ME. And they only wanted to charge me $60 for a preliminary edit along with a few other things that I was thinking sounded totally reasonable. I printed out the contract. Had the camera ready to take pictures of me signing the contract. And then decided that maybe it sounded a little too good to be true, so I did a little research....and promptly ripped up the contract. I was disappointed. More than that, really. But glad I'd gotten out before I'd gotten ripped off. Don't forget about the Mystery Agent contest on Saturday!! Get those one line pitches polished! 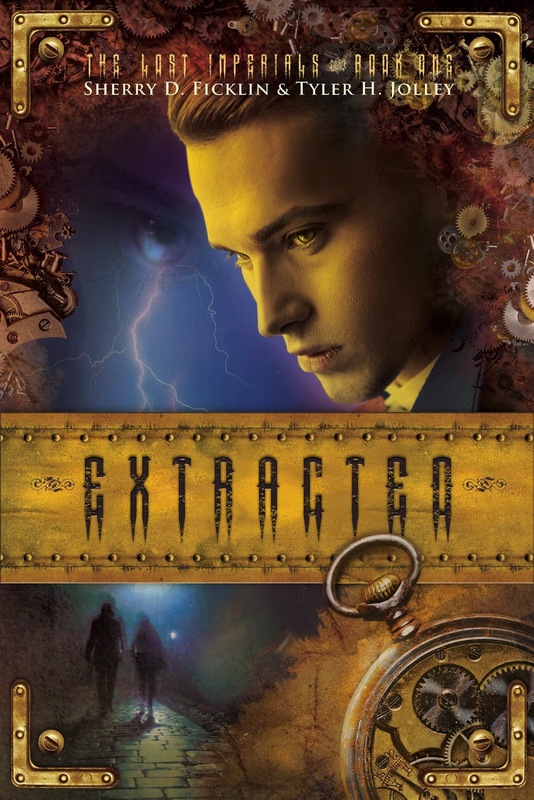 December Mystery Agent Contest: Details Galore!!! So. Remember our Mystery Agent contests? Well, this Saturday, December 1st, they're back! I'm here to share all the deets on what our M.A. is looking for. That way, those of you still on the agent hunt can see whether you should participate in the contest or not. Remember: the contest is for one-line pitches only. Get those babies ready by Saturday, and you could win a FULL manuscript request!! That's because I'm publishing under the name Kell Andrews, and all my real-life friends and acquaintances know me as Kelly, with a Y (not an I, IE, or EY). So let's get this straight: The missing Y is not a typo! It's a pen name. As pen names go, this one isn't exactly a secret identity, but it has advantages. Kell is more gender-neutral, which is helpful since I'm trying to reach boy and girl readers with my middle-grade fiction. 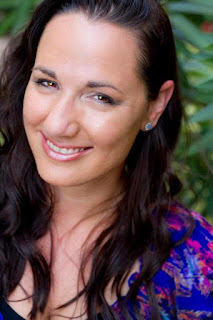 Kell Andrews is more unique -- I'm the only Kell Andrews in the U.S., while I'm one of 261 people (81.79% of us female) named Kelly Andrews -- not to mention Kelli, Kellie, and Kelley Andrews, and those in other countries around the world. But the real problem was Google. Not only do other Kelly Andrews dominate, there are some that I definitely don't want to mix with on a search results page. I'm not talking about Kelly Andrews who is the head of the Green Party in Northern Ireland. I wouldn’t mind being confused with her. I mean Kelly Andrews, the English "glamour model" (wink, nudge), whose photos dominate the first page of Google and are definitely NSFW, and even less safe for a kidlit writer who is trying to reach 8- to 13-year-olds and their parents, teachers, and librarians. So Kell I am, at least as far as my books go. My pen name is unique but easy. I own the domain www.kellandrews.com. It's recognizable to those who know me. And it's recognizable to ME, so that if someone calls me Kell, I don't look for someone standing behind me. Real name is too common. You might need something to distinguish you from similarly named writers -- although Dan Brown and Suzanne Collins did OK with boring names. Real name is too difficult. If your name is hard to spell, potential readers might not find you in search engines. If it's hard to say, they won't talk about you for fear of botching it. You write in several genres. If you write in unrelated genres, like adult nonfiction and picture books, different names might allow you to distinguish your identities. This is common even with closely related subgenres, such as romance, where many writers use different names for contemporary versus historical or paranormal romances, or to indicated different heat levels. Your day job (or your writing) is sensitive. Many writers like to keep their writing and career identities separate. This is especially common for the spicier genres. You publish in several modes. Writers who publish with traditional presses and self-publish sometimes keep the identities separate, often for the same reasons as above. What are your thoughts on pen names? Anybody famous (or infamous) have your name? What’s a good reason to write under an assumed name? Do you use your own name or another one? Should I Use a Nom de Plume? Happy Thanksgiving from the ladies at Operation Awesome! Book Trailer Release for Jennifer Armentrout's OPAL! We are so excited to be a part of the trailer release for the third book in the Lux series, OPAL!!! Woo Hooo!!! 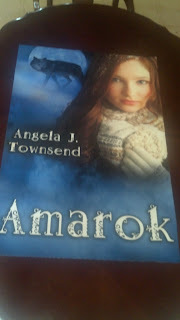 So today our very own Angela Townsend's awesome book, Amarok, is released! If you haven't yet picked it up, do so NOW! Here is the link where you can go buy it on Amazon. And you can also check it out on Goodreads, here. Dragged across the tundra by an evil mountain man and his enormous black wolf, she learns that love can be found in the most unexpected places. Amarok, as she's nicknamed the wolf, is a young man from the gold-rush era enslaved by an ancient shaman. Emma's gentle touch and kind heart win his love and devotion. When a vicious madman--trapped in bear form by the same Shaman--attacks the travelers and injures Amarok, Emma must find the strength to face her fears and free the wolf she's come to love. But that means she must face down the evil shaman, a Siberian mammoth hunter from the ice age, and he has no intention of giving up his power to her. Boys In YA: Houston, Do We Have A Problem? 1) Sarah Mesle's article in the Los Angeles Review of Books, where she discusses "the problem" with manhood in YA, and how some of today's bestselling novels differ from those of the 19th century in this regard. 2) film critic Michael Carelli's article in the Chicago Sun-Times' website, which details his unfortunate experience of working with an editor who refused to publish reviews of films with strong female leads, and who sent him an email explaining why Snow White and the Huntsman was "moral garbage" and "fuzzy feminist thinking." Which book (MG/YA/Adult) has dealt with the topic of manhood in a way that you found awesome? Why did you find it awesome? In the meantime, I am keeping busy finishing up a new manuscript that is due incredibly soon and I am ridiculously behind. When my publicist suggested that I start a newsletter, I was a bit hesitant. To be honest, I wasn't sure what I'd put in it or if anyone would even be interested in getting a newsletter from me. I wasn't sure there was a point to doing on - after all, I blog, I tweet, I Facebook....isn't that enough? And I realized that with my own newsletter, I could do the same type of things. So...I went ahead and started a one in order to better connect with my readers and keep them posted on what's going on. I've posted it a few places (especially recently) and if you haven't subscribed yet you might want to because I have some really really fun stuff to share but have ONLY been given permission to do so in my newsletter. One of them is an excerpt from the upcoming Treasured Lies taken from one of my favorite scenes in the book. The other is some really fun news that hasn't been announced publicly yet. How do you feel about newsletters? Do you subscribe to them? If you are a writer, do you have a newsletter or plan on having one in the future? 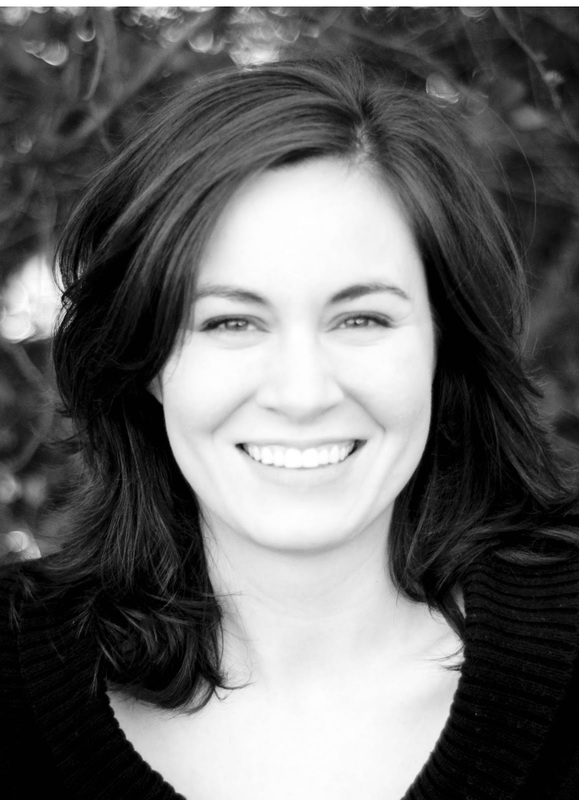 So in case you haven't noticed, our very own Kell Andrews is having her book come out soon. You can read her post about DEADWOOD by scrolling down a few posts. I got my copy of DEADWOOD recently, and before I could get my hands on it, my 9-year-old daughter swiped it from me. 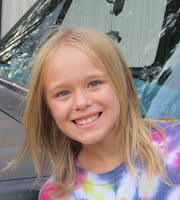 So today, I have a special guest reviewer: My daughter, Kira. I really thought that Deadwood was good. It was entertaining the whole way though. I got really excited at parts when it got scary or confusing for the characters. It seemed like it was really happening, and I was in the book with them. My favorite character was probably Hannah, because she was brave and she kept on trying no matter what. She believed in herself. I like that it was hard to figure out the answer to their problem. I like fantasy so I enjoyed the magic. You should all read the book. Kira is a 4th grader. She enjoys reading and acting in plays. She smiles often and is friendly to everyone. She is in dance and plays the piano. She loves nature and animals. You may or may not have heard about this indie project called THE TWILIGHT SAGA: BREAKING DAWN PART 2, which comes out on November 15th. It's just this obscure, limited release film with some unknown actors. The studio distributing it isn't expecting ginormous box office numbers at all. Like, not even close. Oh, and these dudes? 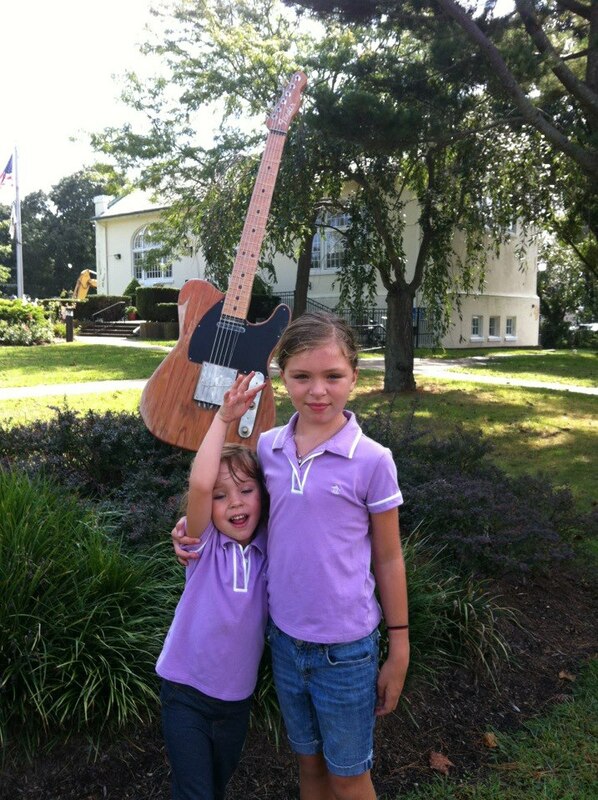 I don't squee at the sight of them. Okay, okay. This post might as well be titled Lies I Tell Myself. I'm not huge on Stephenie Meyer's books (except for the Volturi. Me likes the Volturi. 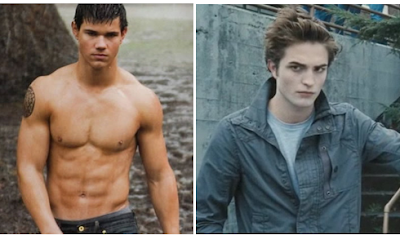 *hugs the Volturi*), BUT I do like watching the movie versions because: 1) Robert Pattinson; 2) Taylor Lautner. Yes, I shall see these two actors in other movies, but probably never in the same movie ever again. That, more than anything else, gives me the sadsies--I think these two gentledudes are rather good at hating each other and fighting over a human dudette. Which is what I believe most TWILIGHT fans seem to enjoy most, along with Bella and Edward's relationship. But alas, the end is nigh. I'm already coping by watching interviews with both actors (score if they're in the same interview together). This is my attempt at closure, but I know for sure it'll be achieved the minute the end credits roll and I walk out of the movie theater. I shall raise an imaginary glass of lemonade and yell "FAREWELL, MY DARLING DEARS!" at the screen. Because obviously. 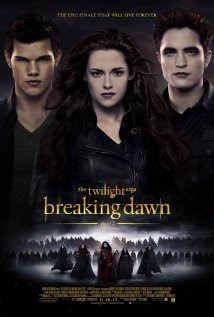 So I ask y'all this: if you're looking forward to THE TWILIGHT SAGA: BREAKING DAWN PART 2, what are you struggling with most in terms of closure? Bella/Edward? Jacob/Reneesme? The Cullens? My beloved Volturis? All of it? Let me know in the comments! My debut middle-grade novel, DEADWOOD, will be officially released December 1 by Pugalicious Press (and can be ordered now! ), a new small press that is releasing five new titles in its first year of publication, and I'm getting more excited by the day. A small press book release is a bit different than a big one -- at least, my release is. It's a slow build rather than a huge initial push. 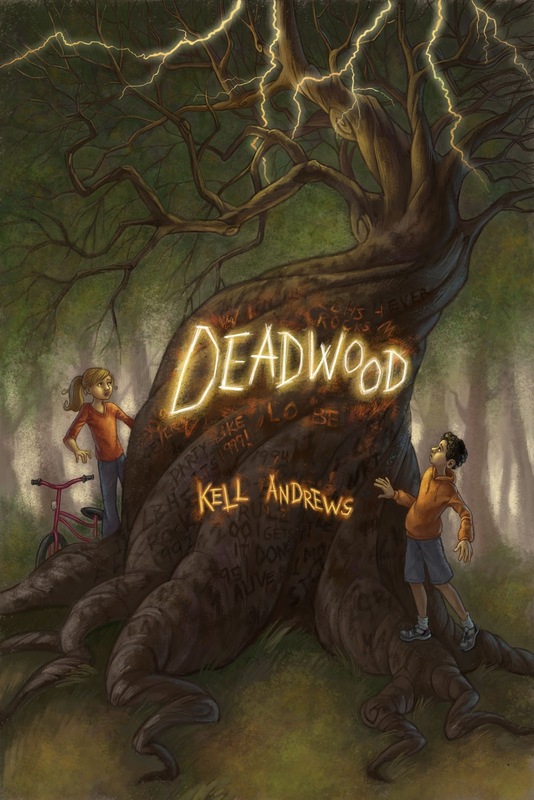 DEADWOOD by Kell Andrews - coming December 1! I’m realistic about what being published with a small press means: my book will have an opportunity to be reach actual readers. I have a gorgeous cover and an editorial and marketing team behind me. I also know what it doesn’t mean: I probably won’t be in the major bookstore chains and big box stores. But you know what? A Big Six publisher is no guarantee of B&N placement either. 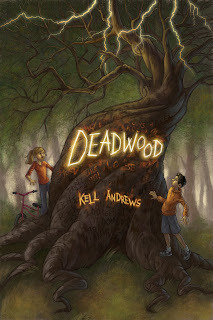 I have an additional challenge, since DEADWOOD is a middle-grade book, and middle-grade readers are hard to reach online. Because of that, I decided not to do a huge blog tour, which is the staple for YA books from presses large and small. There just aren't enough blogs for middle-grade kids, and there's evidence that users are tuning out blog tours anyway (interesting discussion at Creepy Query Girl here). Building an online presence that has subject-area information. 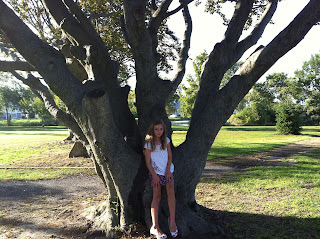 In addition to writing about writing here at Operation Awesome, I'm blogging about trees and outdoor education at kellandrews.com and treeandtwig.tumblr.com in order to create resources for students, teachers, librarians and parents. Reaching out to teachers and librarians. Instead of doing a lot of blog giveways, I'm sending most of my author copies to teachers and librarians who I hope read the book, share it with students, or include it in their collections, and spread the word. Reaching out to related educational organizations. Although DEADWOOD is a fantasy, it has a major theme of appreciating connections with the natural world. I'm contacting outdoor educators who might enjoy and share the story. This is a lot of work, and I haven't gotten it all done yet. But I don't have to do it all now. Because I'm NOT in big chains, I don't need to sell a ton of books out of the gate or risk flooding the warehouse with thousands of unsold returns. My goal is to do something everyday -- to write guest posts here and there, to reach out to educators, to spread the word over the course of the next year, not the next few weeks. We'll see what happens -- it's been fun so far, and I'm only getting started. Here's where you can order DEADWOOD now! Thanks for all the support from the readers of Operation Awesome. Being published has been an exciting adventure for me. There are few pleasures I enjoy more than running my hand over the smooth cover, gazing at the spine with my book title, and signing my name inside the jacket cover. It truly is a gift and I'm very grateful to all those who have helped me get to where I am today. As my release date loomed closer and closer, I started to worry about book signings and where and when I would have them. 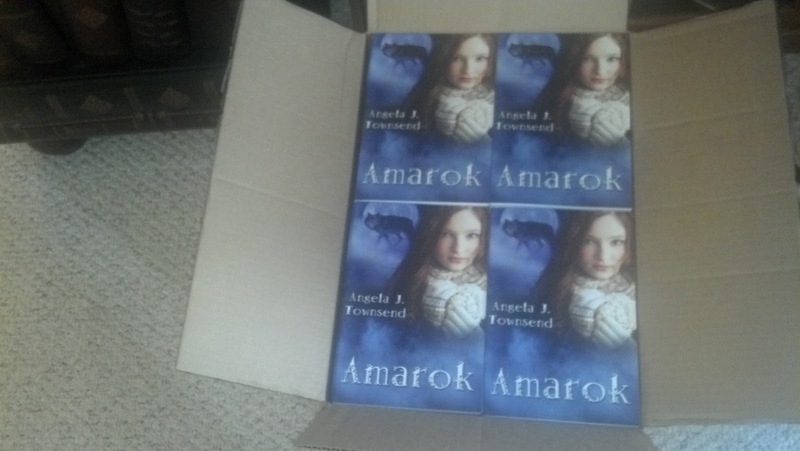 There was a local demand for Amarok and lots of pre-orders and excitement--the problem was, since I live in rural Montana and Borders had went bankrupt--where would I have a signing? I suddenly realized I knew nothing about book signings. How did it all work? I turned to my amazing publicist, Lisa Munoz, Lisa smiled and took care of everything. Lisa worked very hard and before long I was booked and not just at bookstores. Amarok, and a few days later I will be at the mall for a Black Friday sale. Other signings will be held at an Interior design center, coffee houses, bookstores, a few high schools, libraries, Historic mansions, local markets, events and more. One important thing I learned is that a book signing doesn't have to take place in a book store. There are many other places in which to host a signing. Advertising is a must. My signings are just in time for the Holidays and that helps tremendously as there will be more shoppers. A good display is also a must. Lisa has worked very hard to design a pretty table, canvas banners, bonus and promotional items and comfortable chairs. I feel very lucky to have her help and I will be forever grateful to her. 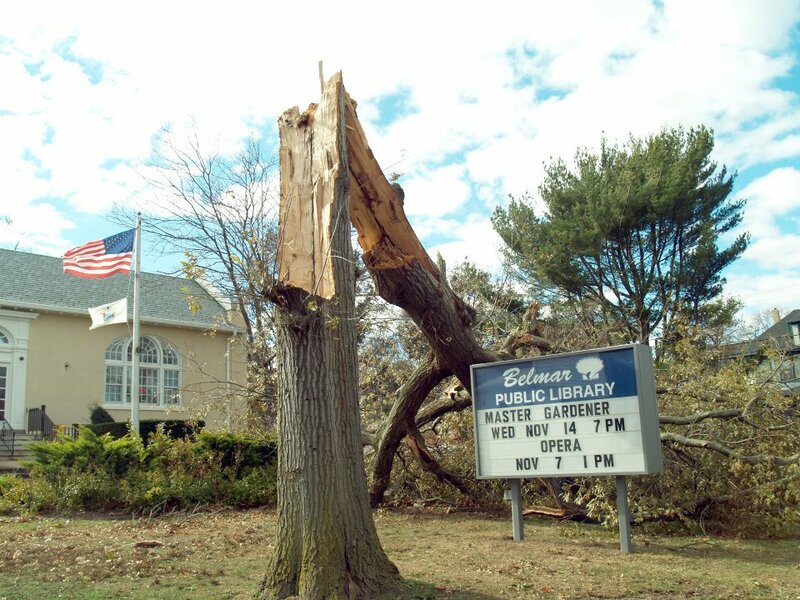 With hurricane Sandy struck, I felt terrible for everyone involved. I worried about those affected by the hideous storm. I wondered if I would be able to get my books on time. I was very lucky to have my box of books arrive this week from my publisher, Spencer Hill Press. I was fortunate to receive them and I continue to keep those stricken by the storm in my thoughts and prayers. or you may request a signed copy directly from me. We're moving farther into the city tomorrow. It was set before the election in response to what has become the economic reality for many people. Inciting incident: Rising costs across the board. Gas prices in CA are crazy right now. That makes food costs more expensive, as well, which we can definitely feel in the tightening of our belts. And the renewal letter we got from our apartment manager proposed raising our rent by $200/month. At that moment, it was clinched. We had to move. The adventure or quest novel always begins this way. Something happens. It can be a gradual build-up, but often it happens all at once--something that changes everything. For your hero, it should color everything gray. It should make the need to change inevitable. And, as Donald Maass says in Writing the Breakout Novel, it should be gut-wrenching. He calls it "gut emotional appeal," but whatever you call it, it should be like a punch in the chest to your character, something so tangible your reader is reeling from the sympathy pains. I don't think I've ever written an inciting incident so powerful, but I can tell you that I'm living one right now. And it's something I'll take with me into my writing going forward. Because my family of five is now on a quest, to make the city our new home. A suburban girl who really prefers the open skies of Arizona and the open breezes of the southern Utah red rocks is going to be living in a tri-level attached to a hundred other tri-levels. I'm a character in my own story, and I know this is going to change me because... how could it not? I have a lot of worries. Thanks to the economy, theft is on the rise. Youth unemployment has led to a rise in teen gangs just walking the streets looking for trouble. I'm reading every day in the news about random acts of violence that seem to have no real motive other than boredom combined with evil. As a mom, I keep these stories in my worry-chamber, storing them up so I'll be prepared for anything. But you can never prepare for everything. My oldest is only five, but those of you who write YA could easily write me in as the mother who worries too much and tends toward the dramatic. 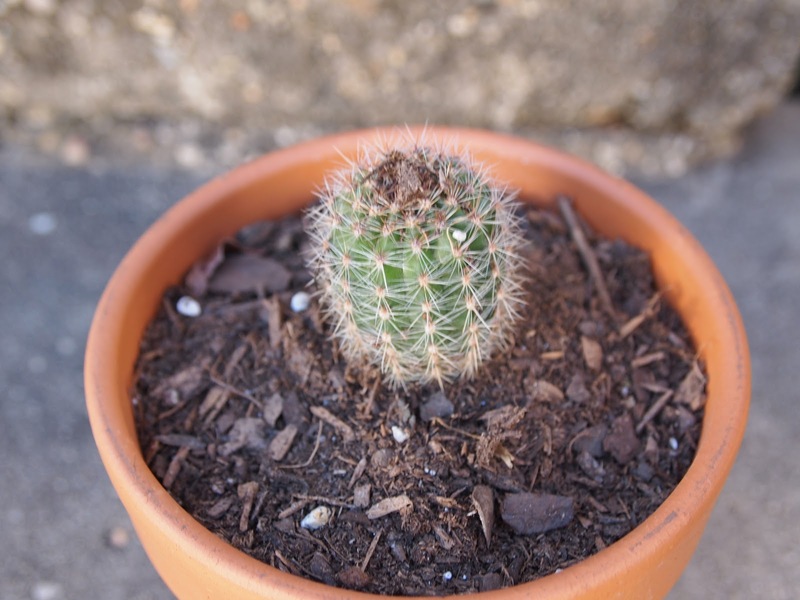 Or I could be Bella, leaving her home with nothing but a tiny cactus to take Arizona with her to the rainiest place in the country. Change is powerful. A change of location, the introduction of a stranger, or a group of strangers, the loss of someone beloved -- it's transforming. What's the catalyst in your adventure? Does it break your character's heart? Break it. Because the path toward wholeness is the whole story. opposite corner, where some band members lived. The basement activity room was reportedly flooded but the 100-year-old library stands. European beech tree by the park on 8th and C Streets. Silver Lake at 8th Street, which overflowed its banks. 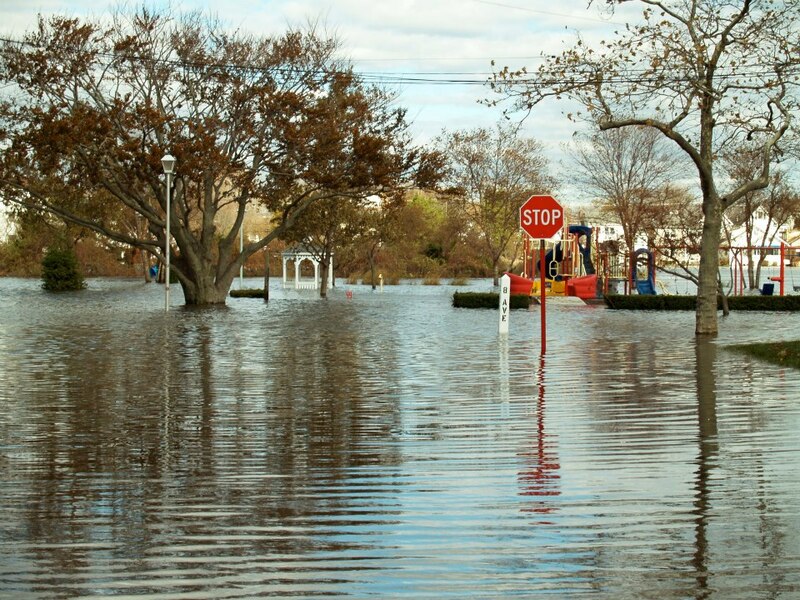 After Hurricane Sandy, we were very fortunate that the damage to our home and that of our Belmar relatives was minor, but many of our friends and neighbors experienced serious flooding that continues. 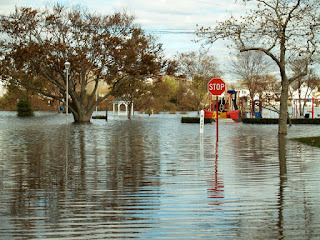 The lake in the playground photo now stretches through blocks of family homes. The newly completed boardwalk -- one of the primary economic drivers for a beach town -- washed away. The power is expected to stay off until the flooded lake can be drained. The leadership of the town, including Mayor Matt Doherty, is doing an outstanding job of helping neighbors help each other, but it will be a long road. Others suffered much worse losses, of homes and loved ones. I know people who still aren't sure what they'll find when they go home. Some towns themselves are nearly obliterated, including Sea Bright, where one of my husband's high school friends is mayor. In the midst of it all, the NY-based publishing industry was hobbled and will likely take a while to get back to normal after continuing power and transportation disruptions. And then November First came, and many writers began National Novel Writing Month. I have never done NaNo, so it seemed to discordant to see all the NaNo tweets and posts while I was scouring Twitter and Facebook for news of family and friends. But it makes sense. 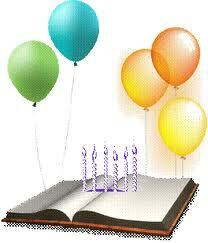 Many writers started writing on backup generator power or by longhand. Others wrote as a sense of solace, community, and escape during a disorienting time. I wrote much of my first novel (unpublished) years ago as a respite during a time of mourning. Writing saved me. It was not and is not frivolous. So keep writing. The stories you write could save you and those who read them someday. And keep helping -- there are many out there who need it. Donate to American Red Cross here. 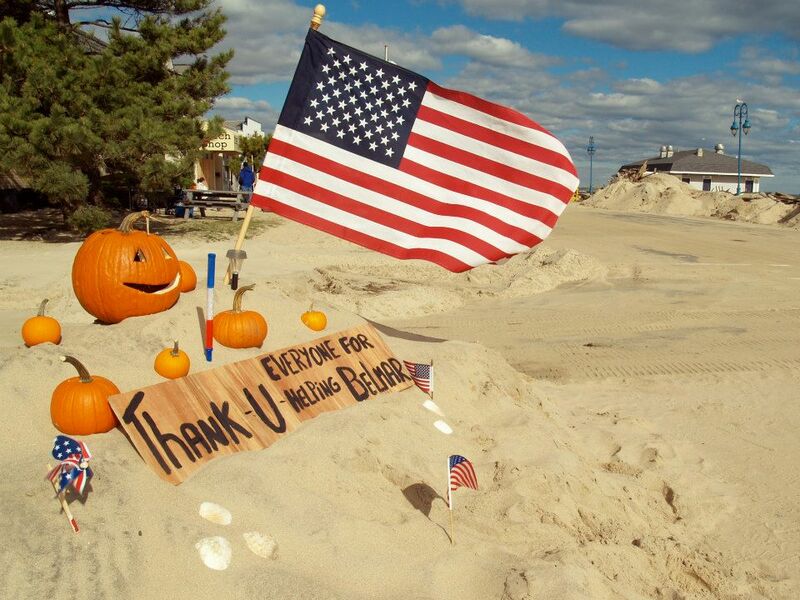 Belmar Beach, November 3, 2012. All photos by Jeff Lyons. COVER REVEAL PLUS BONUS VIDEO!!! Today I wanted to share a GORGEOUS cover reveal of Extracted by Sherry D. Ficklin and Tyler H. Jolley published by Spencer Hill Press! Don't forget to click on the bonus video link at the end of the post to see how this spectacular cover was made by Lisa Amowitz! If you're like me and forgot yesterday to start a regimented 1700-words-per-day habit for National Novel Writing Month (NaNoWriMo), it's okay. Start on Day 2. Or even Day 3, if Saturday is your favorite. It's okay to do NaNoWriMo halfway, in circles, or upside down. Many writers use NaNo to increase their writing productivity without actually following all the rules (new project, begin November 1st, write at least 50k words by the end of the month). Some do NaNoReMo and work on revising a book they've already written. p.s. After November, you may want to let your newly finished "literary abandon" sit for a bit through Christmas before tackling revisions in January. That's why Operation Awesome is busy putting together a helpful New Year's Revisions Conference here on our blog. It'll be completely free and completely online. 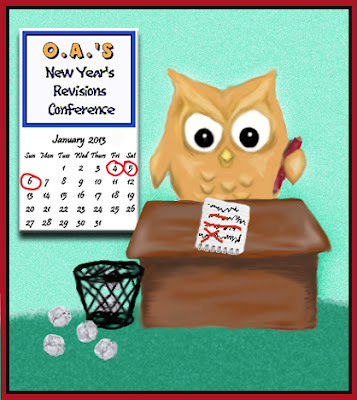 Save the date: January 4-6, 2013. Arts & Crafts: Do Your Characters Make Stuff? So. Yesterday was Halloween. When I was a kid, I LOVED Halloween. Mainly because that meant DRESS UP TIME and CANDY. Now I only like the candy part of Halloween. I don't really know why, but costumes don't get me as excited as before. I do, however, love seeing other people wearing costumes. My favorite costumes are the ones people make themselves instead of buying at a store. The dedication behind costume-making is intense, y'all. 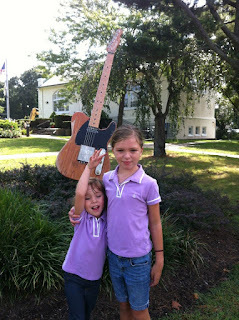 I'm in awe of those of you who can whip up something from nothing, then wear it like a boss. Seriously. This whole costume design fixation (and fashion design in general) led me to wonder about characters and their stuff. Clothes, jewelry, hair accessories, you name it. My WIP has a character who designs and makes stuff, although they're more of the sharp-pointy, totally-can-kill-you variety. :) But I've yet to write about someone who just sits down and creates things they can wear, either for themselves or others. I'm curious: do your characters make stuff? If so, what do they make? Does it hold a special place in their hearts, or is it something they must do out of necessity?